Strengthens, flow or positive psychology are not anything brand-new in the world anymore; you would not be surprised to find similar words or topics in any workshop of career or life secret sharing. I do agree that genuine happiness is on the journey of pursuing our calling (or in simple words, just doing the things you want to, or JUST DO IT) and enjoying the “achievement” along the way, small or big achievement in our own definition. And I do believe, by simply changing perspective or dropping negative forecasting, we can totally change the experience of game of life. 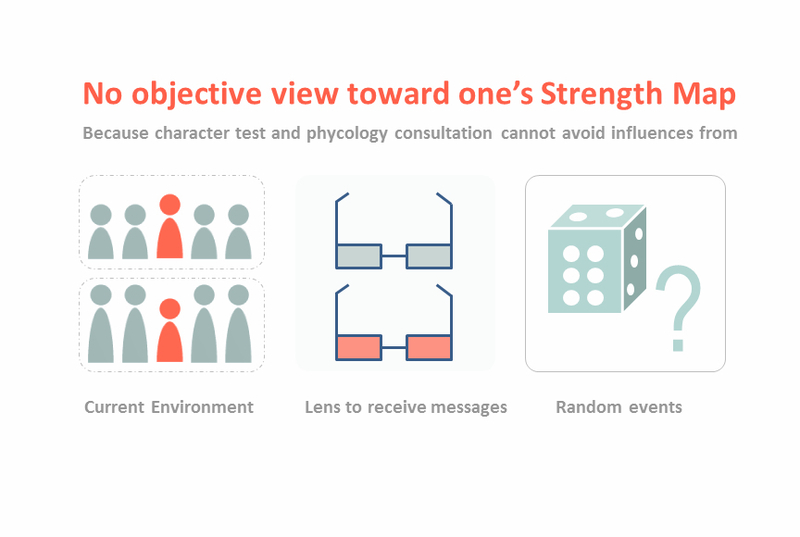 However, my first question is can we have objective view toward one’s strength map? My answer is NO. Difference of strength and talent is that the former is a choice of fwill and the latter one is a gift of luck. To find signature strength, Martin encourages us to do an online test to find our Top Five Strengths by answering question like “How frequently did you show CREATIVITY or INGENUITY in these situations?”. And then we need look at the list of Top Five Strengths; identify the “Signature Strength” by asking ourselves questions to verify if we have ownership or enthusiasm for it. 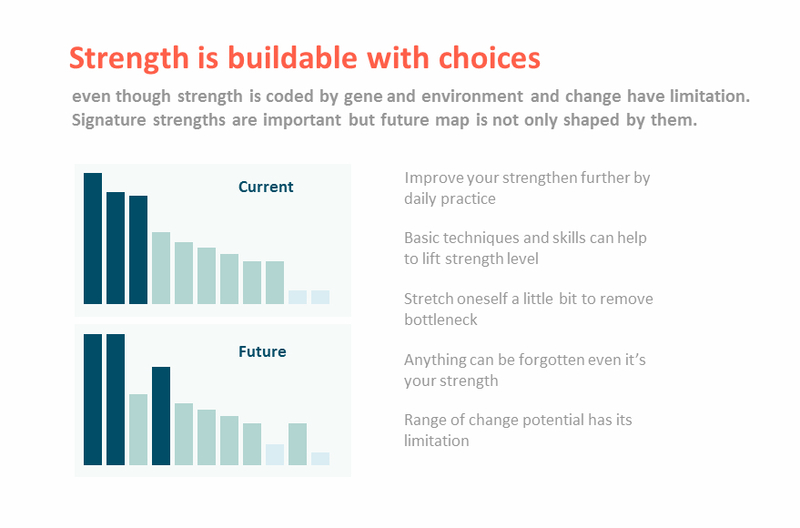 My second question is that is Signature Strength importing at all; if strength is coming from choice of will and can be practiced and improved? I would rather have a detailed understanding of current strength map; and make full use of them properly to do the things making me happier. Of course, we have to always bear in mind that the change potential has its limitation. Previous Is a standardized data structure useful for Cloud APP Platform?